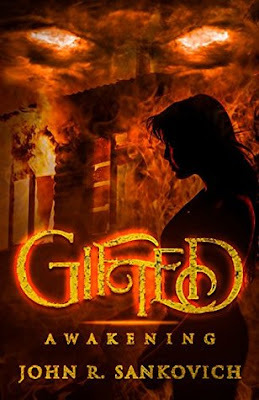 YA Bound Book Tours: Book Blitz Sign Up: Gifted: Awakening by John R. Sankovich! Book Blitz Sign Up: Gifted: Awakening by John R. Sankovich! The supernaturally-gifted Followers will kill anyone unwilling to use their powers to find their leader. The self-righteous Trinity, led by a man named Ulysses, won’t stop until all supernaturally-gifted people are dead. Sixteen year old telekinetic Rebecca Stevens is stuck in the middle of their war. When her mother dies in a Follower attack and her father mysteriously disappears, Rebecca is left with only the guilt that, had she known how to safely use her swelling telekinetic ability, she might have saved them. Staying hidden is impossible once her brother, who hides his power, pledges his loyalty to Trinity. With both sides knowing of her power, she must navigate the battlefield between the two groups. As Ulysses’ power expands, The Follower’s numbers grow, and violent clashes threaten to tear apart the city. Rebecca’s only hope to stop them both is to master her ability before it’s too late to save anyone. Rebecca Stevens stared at the crate twenty yards away; the breeze blew her hair across her eyes. The weight of the railroad spike hovering nearby rested on her mind. The sensation of a foreign object inside her head quickened her pulse like always. At her command the spike spun. Her skill had improved over the past months, during her very limited practice time, but one thing remained constant; if she didn’t manage her emotions she lost any sort of accuracy. Perfect concentration was required, and she hardly ever achieved that. With her energy focused, sweat ran down her back and neck. A stiff wind chilled her cheek and rattled the nearby trees. A twig snapped and she glanced toward the sound. A dog stood in the clearing, its brown eyes studying her. At least he wouldn’t give away her secret. A tingle intensified in her fingertips to the point of triggering an adrenaline rush, and she flung the spike toward the target. With a whoosh, the spike nailed the target a bit to the left. The wood box splintered, the crack of the wood echoed, and birds scattered from the nearby trees and the dog barked once before his escape. The spike drove into the ground, out of sight, behind a puff of dirt, as the force propelled it deep. Someone shouted in the distance, and she bolted toward the cover of the trees. She hid in the shadows of the trees like a criminal. Her body shook from the telekinetic exertion and with someone hearing the sound, they would come investigate. She needed to get out of here. Her hands quivered and she knelt on the hard soil to calm her twitchy nerves. She hated the weakness in her stomach after every use of her power, but her instincts nagged her to practice. The control would get easier. It had to. She dug into her backpack slung over a tree branch, and pulled out her cell phone. She had two text messages from her dad, both telling her to get home for dinner. She replied she was at the library and hurried through the forest as the sun set behind her. Her dad, they mayor of Peakside, would never understand what she was doing. He had been under constant pressure to do something about the growing voice of the public about people with powers. Her father kept to himself, but she knew he felt the burden. She hoped he would do the right thing; whatever that was. Maybe someday she would trust someone with her secret, but so far she couldn’t. The world wouldn’t allow her to. At the edge of the woods, she scanned the adjacent street. Night crept in as the sun fell behind the horizon. Shadows reached forward like prying fingers as gloom surrounded her. A familiar loneliness fell upon her. A few porch lights dotted the neighborhood. In the distance, a dog howled. She hiked up her backpack and ran. Darkness scared her; she didn’t know why, but every time she was alone in the dark her nerves twisted into knots. A pair of young men sat in a dark car near the forest. Smoke billowed up from the driver’s side when one of them opened his door. Did she see a flicker of fire on his arm? She looked away. Rebecca glanced back at him, but didn’t offer an answer. In the pocket of her sweatshirt, she clenched her fists; a faint energy pulsed in her arms. “You too good to answer me?” the man yelled. The car door slammed and the engine revved. They were after her. Fear shot through her veins, and she didn’t have time to give it a second thought. With them already in the car, she didn’t want to risk her life to stop them. She didn’t even know if she could stop them if she tried. She knew she could move small objects like her laptop and the railroad spike, but the heaviest thing she had moved with her mind was the washing machine, but a car, she couldn’t fathom doing that while she escaped. Rebecca bolted toward the corner and hooked around. She hoped to put some distance between them. Her sneakers slapped against the pavement, still three blocks away from her house. Tired from her telekinetic training session, her body revolted--cramps hit her legs and she almost collapsed. She couldn’t outrun them, so she frantically searched the neighborhood for a place to hide. The first fence she came to, she scrambled over, and landed next to a tree. Her throat burned. Her chest heaved. 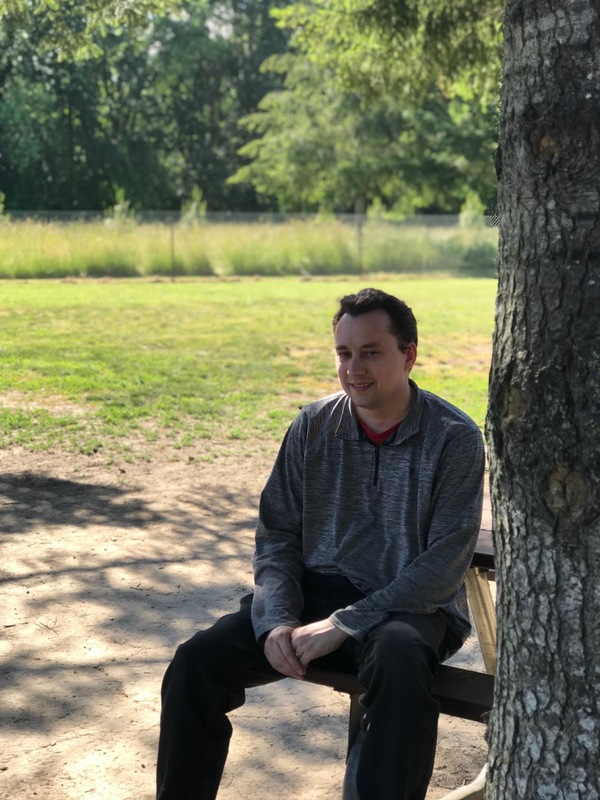 Even as a young child I was always conjuring up stories and filling them with colorful characters, sharing them with anyone and everyone who would listen. Since then, I’ve progressed quite a bit to formulating longer and more complex stories and sharing them with much larger audiences. When I'm not writing, I'm an avid Carolina Panther fan, video game player, and a Walking Dead aficionado. I wouldn't be able to do this with the support of my family, wife, two daughters, and son. Along with our zoo at home with 3 dogs, 3 frogs, a turtle, leopard gecko, sugar glider, a cat, and numerous fish. You might be surprised that with all these possible distractions, I still manage to write on a daily basis. Social Media Blitz: Themensha by MxKnowitall! Book Blitz: Themensha by MxKnowitall! Blog Tour Kick-Off: Pete and Daisy by Tani Hanes! Book Blitz Sign Up: Shift by M.A. George! Cover Reveal: Rock-A-Bye Baby by L.R.W. Lee! Review Copies Available: Shift by M.A. George! Social Media Blitz: A New Look on Books!